“WOW WOW WOW! I now have a room with a view! Thank you!! !” Mrs Clarke. 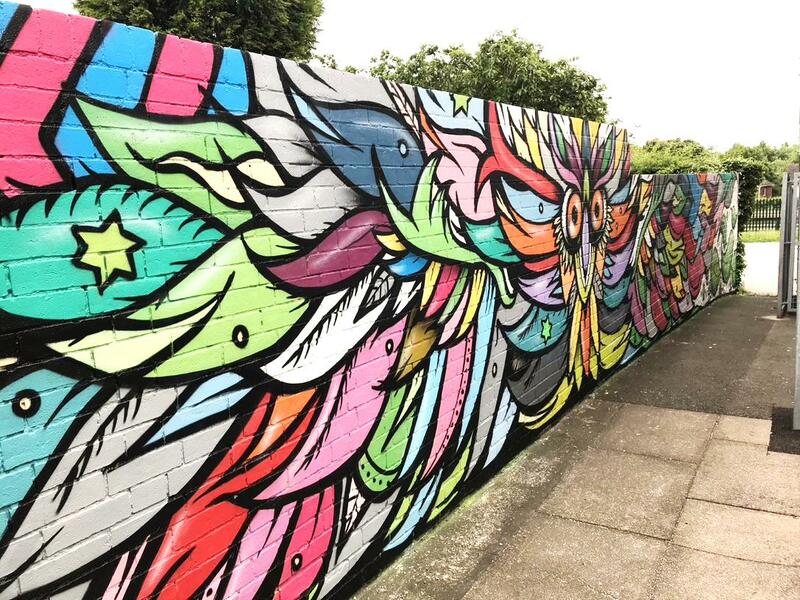 “I love how colourful it is – it makes me feel happier when I look at it!” Ellie Year 10. 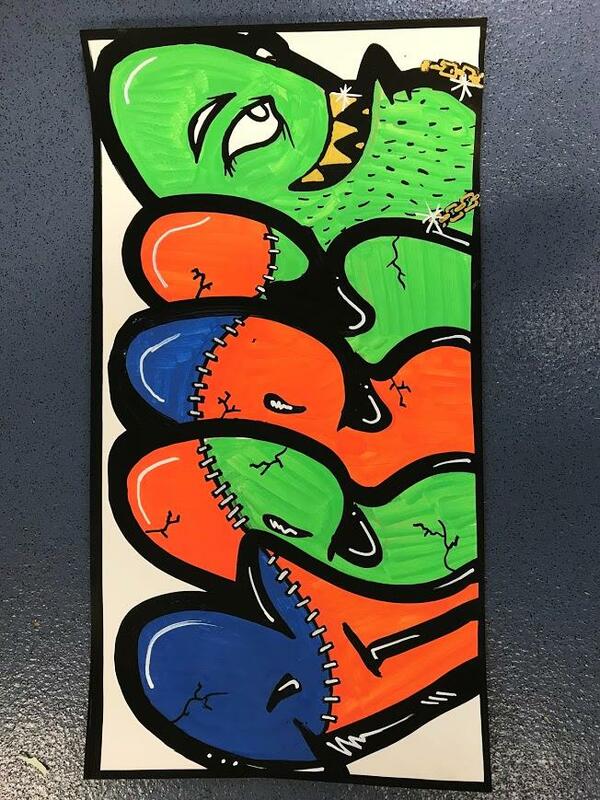 “The artists were sound – they were proper helpful and really calm; especially when we all had spray cans in our hands!” Lestyn – Year 11. 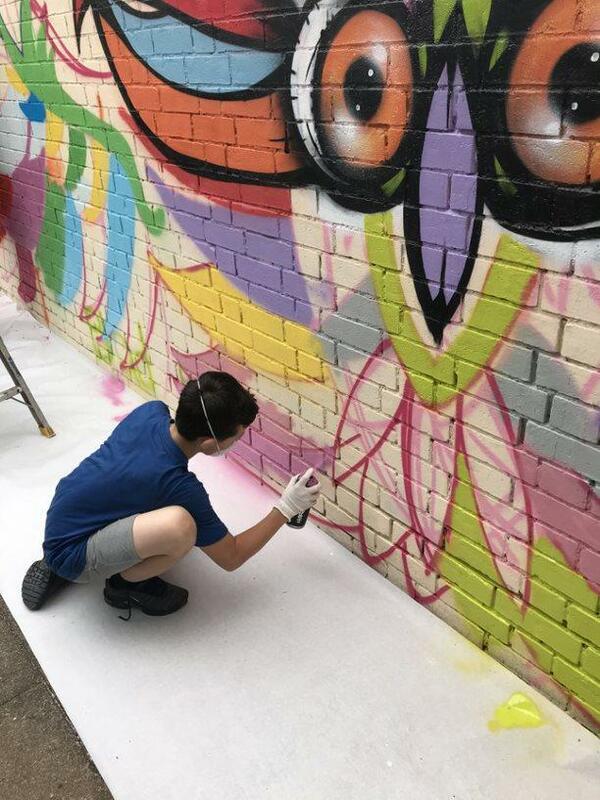 “I really liked the spray painting – the artists were great, and I liked talking to them.” Callum – Year 9. 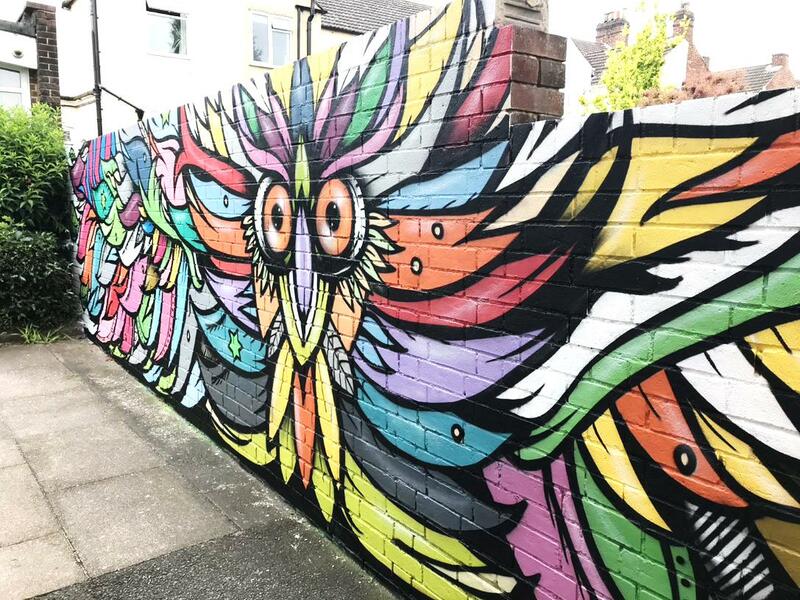 “It looks amazing and it cheers us all up each day!” Mrs Robertson. “It never ceases to amaze me just what our young people can achieve when they set their minds to it – A wonderful asset to the school.” Headteacher. Masked and ready to go! 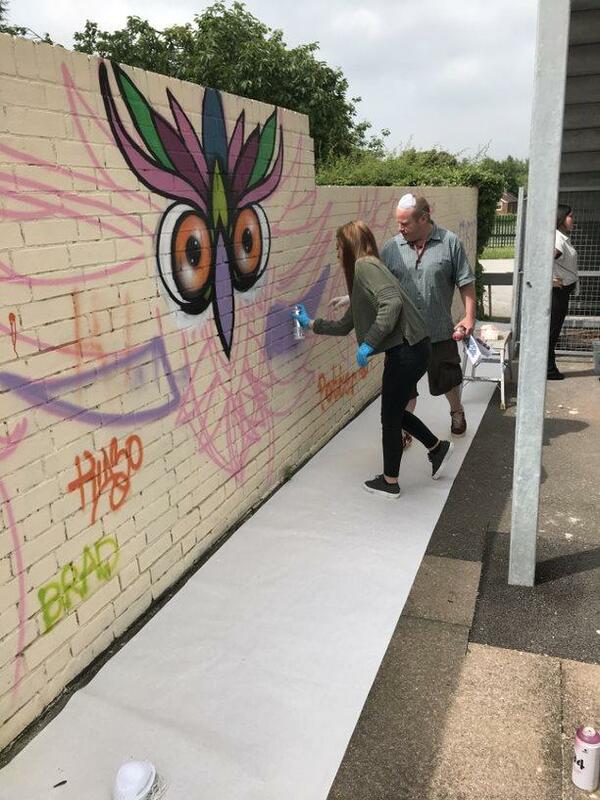 We are a PRU based in Tamworth and Arts Connect funded a fantastic project last year for our learners which made an enormous difference to engagement, qualification outcomes and student smiles! 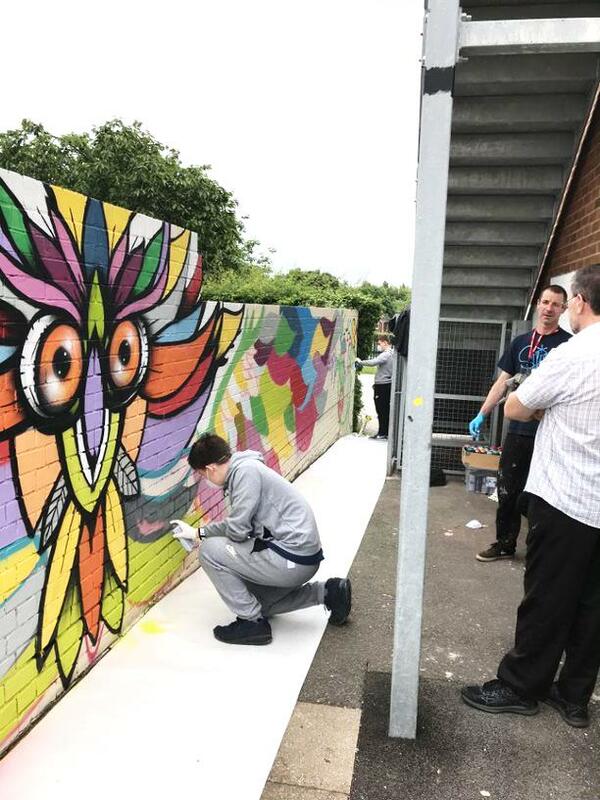 We were able to buy in 2 street artists from Nottingham (Kid30 from Smallkid Design) to showcase their work, teach new skills and support students to create a permanent piece of public art on a large outdoor wall space.Students were able to make their own names on boards in the morning and later all students in school were given the opportunity to spray paint the previously agreed design onto the wall. 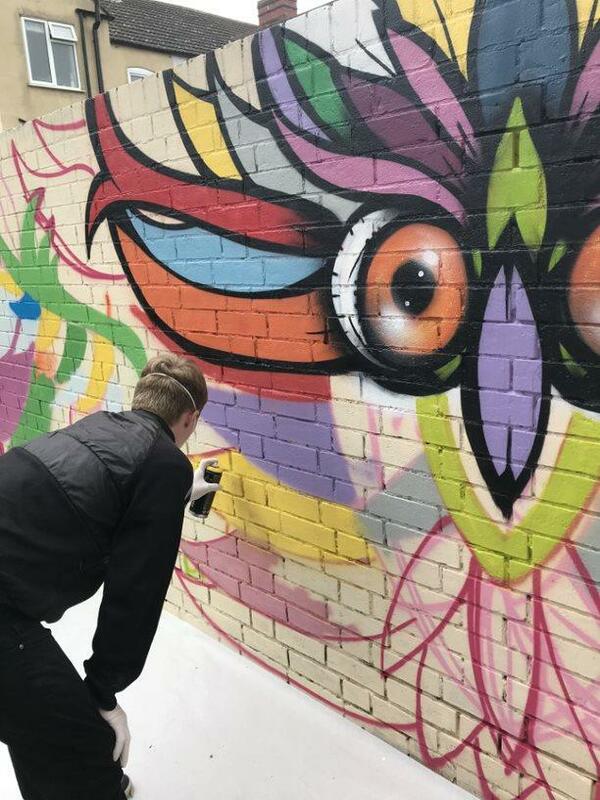 All students that worked on the project were able to significantly progress their Arts Award qualifications, but benefits ran much deeper than that alone and our students gained a real sense of pride and achievement. 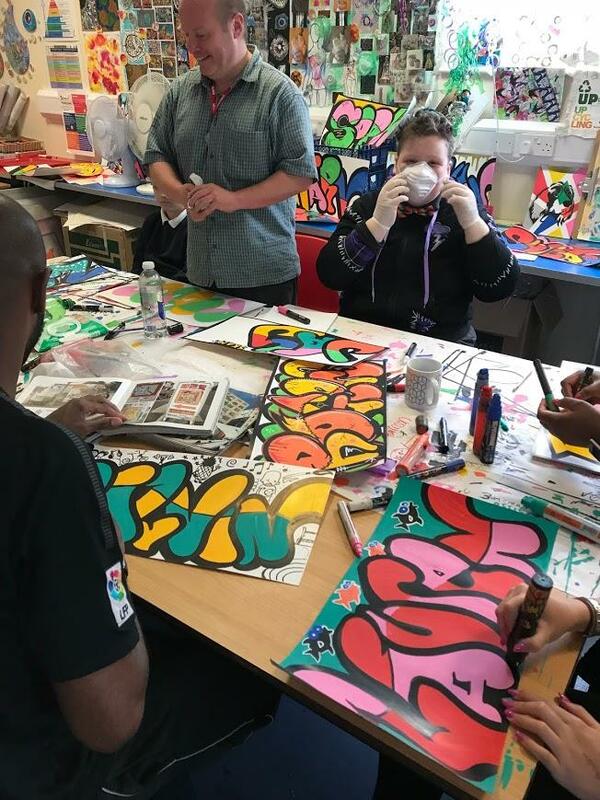 For many it was the first time they had been invited to take part in a live art project and they all thoroughly enjoyed meeting and talking to the artists who were absolutely fantastic with our students. A huge thank you to Arts Connect for the wonderful experience they gave our students, an experience that I know they will always remember. Jo Potter – Art Co-ordinator at Kettlebrook Short Stay School.